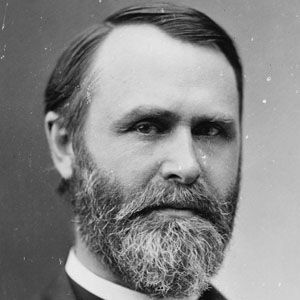 Remembered best for his service as United States Secretary of the Interior (from 1869 until 1870) and as twenty-eighth Governor of Ohio (from 1866 until 1868), this nineteenth-century politician was also a general in the Union Army during the American Civil War. He earned a theology degree from Oberlin College and subsequently became an Ohio-based school superintendent and attorney. In the years leading up to the Civil War, he served in the Ohio State Senate, where he allied himself with then-Senator James A. Garfield. Born to American parents temporarily living in Montreal, Canada, he spent the bulk of his youth in New York City. His marriage to Helen Clarissa Finney resulted in eight children, including artist Kenyon Cox. During his tenure as Ohio governor, Cox opposed suffrage for African Americans and supported President Andrew Johnson's plan for post-Civl War Reconstruction.